Donnel Robinson/Ella Fitzgerald arrived in Washington in 1975. "Talk to the drag queen!" "Remember! It's all an illusion." Diva and doyen of Washington, DC's drag community since her arrival in 1975, Ella Fitzgerald, the stage name of Donnell Robinson, has played a central role in nurturing and mentoring the city's female impersonators -- and at separating the talent from the wannabes. 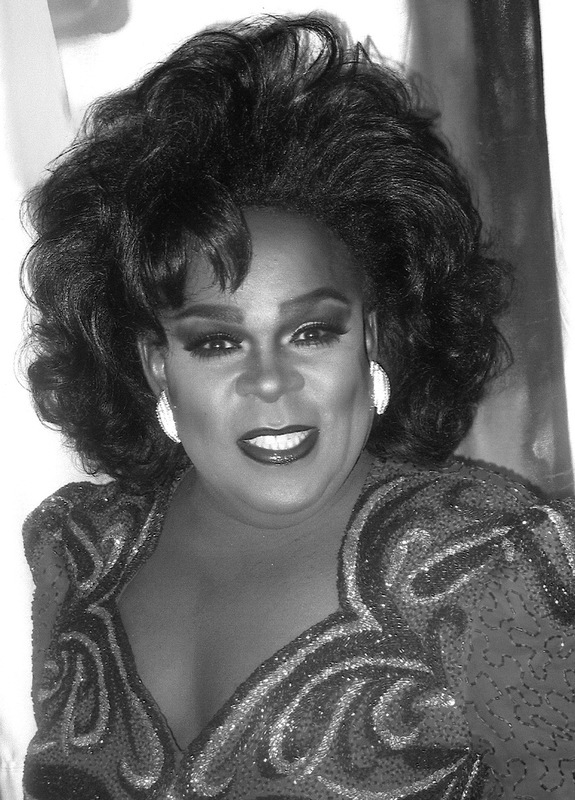 From her arrival here, from Warrenton, VA, the future Ella Fitzgerald has been in the mainstream of local drag circles. A member of the Academy of Washington, she has held all the top titles in the longest running LGBTQ organization in the town. From her first days at the Rogue, the Plus One, and the Other Side to her long-running tenure as show director and leading light of Ziegfeld's Ladies of Illusionshow, Ella has put her talent and her art to work for the community in fund-raising for HIV/AIDS organizations, for youth organizations and the Whitman-Walker Clinic, and for the annual Pride festival. Idolized by her public, she has deployed that popularity not only in entertaining but in giving back to her community. By virtue of her position she is mobilizes others in the drag community to support the needs of the moment.